Take front and center stage with our Imprinted Hang Around Bags. Our bags are ideal for businesses as well as regular people who need durable and sturdy bags to carry items. Our hang around bags find their way on strollers, shopping carts, corners of chairs, and car headrests when businesses use them to package items the customer bought. 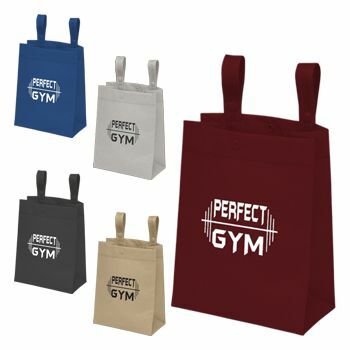 Now showing the options for "1 Color - Silkscreen"
8 X 4 X 10"
If your street receives a lot of foot traffic from locals and tourists, you need to provide them with the convenience of bags that can hang securely on anything. 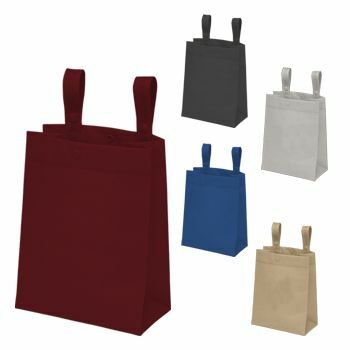 The snap closure on the bag not only allows people to secure the items inside, but also allows them to carry it easily. 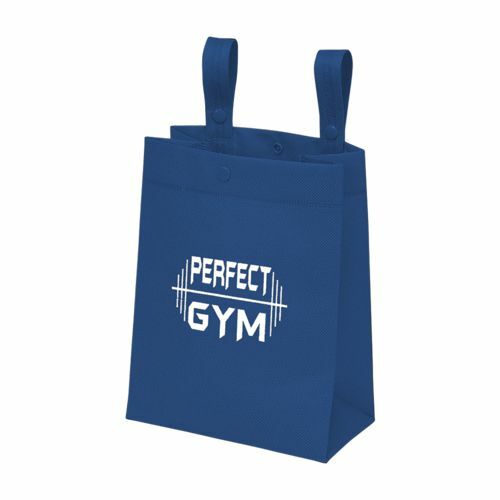 Unlike plastic bags, our consolidated bags will not tear, rip, or stretch. 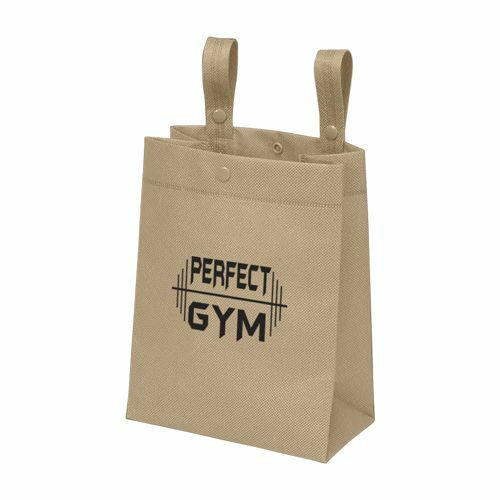 By customizing the bag with text, logo, and design, you will have a higher possibility of drawing most traffic to your store. Previous customers are more likely to use the bag for other purposes, thus increasing your store’s visibility.